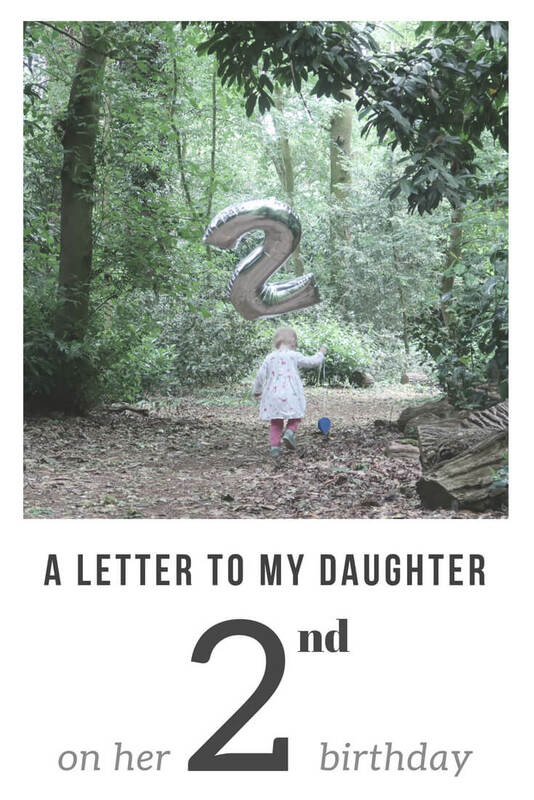 I’ve just been reading my letter to you on your first birthday and marvelling at how far you’ve come. You bring me (and your daddy) so much joy. We love you so much and feel so lucky to be your parents. 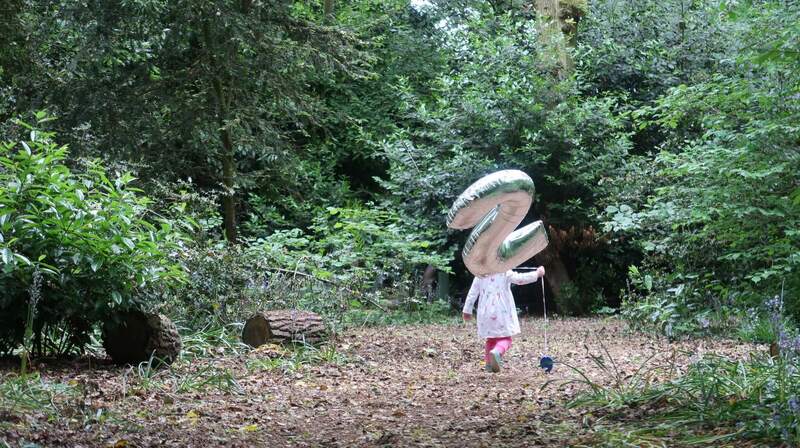 Last year, I was writing about how I could hardly believe that I was a mummy to a one year old. 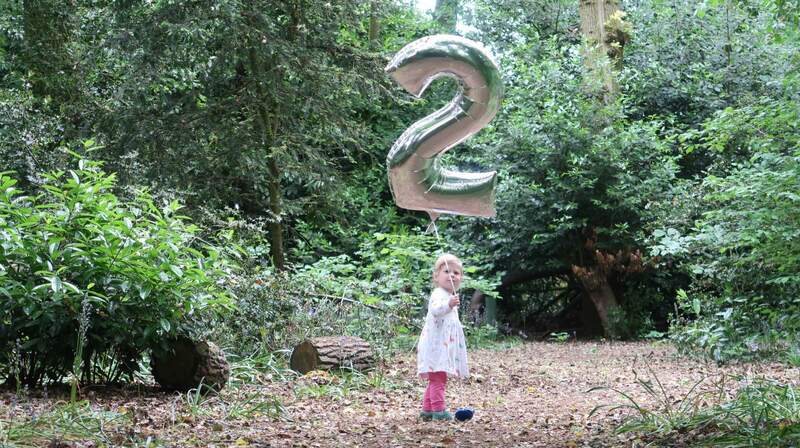 Well, the same can be said this year – I can hardly believe that you’re two already! One year ago, we were getting a bit nervous about when you’d start to walk. You took your own sweet time and waited until you were good and ready. Then at seventeen and a half months, off you went and there’s been no stopping you since! Now you have your own personal love affair with not only shoes, but clothes as well, and your current favourite thing to do is announce, “new shoes!” or “giraffe dress!” when you enter a room. You can put your own socks on (sometimes on your hands, when you’re being silly! ), and have mastered the art of removing all of your clothes (now you just need to perfect putting them back on again!). You’re really embracing messy play and role play, and love attending Bop Tots, Bookbears and Hartbeeps classes. Bubbles and parachutes are definitely the highlights of these classes for you, although you’ve been talking about the time you had your feet painted at Bookbears for weeks. You also adore music and dancing, especially the music of The Wiggles, and you love copying Emma Wiggle’s dancing. You’re still not sure when you’re introduced to new textures to play with, but you’re starting to at least give things a go. You love nothing more than getting the paints out or playing in your tuff spot, especially with water or your purple sand. Of course, the bubble machine brings you extreme joy, and we love filling the garden with bubbles! You have shown us that you know your own mind. Now that your speech is developing and you are working hard to say sentences, you are making us laugh and communicating your desires with equal vigour! You impress us every day with new words that you have learned, and you are clearly enjoying learning them. I love watching your concentration as you work hard to articulate your mouth to make new sounds and pronounce the words that you are trying to say, as much as I love seeing the joy on your face when you achieve your goal and communicate something that you have found interesting or funny. You are clearly a very thoughtful little girl, and often bring up topics that happened yesterday or last week, as though you have been mulling them over in that head of yours. You’re thoughtful in a generous way, too. You always make sure that everyone has an instrument or prop in classes that we go to, including the grown ups. If they don’t, you happily give away your own before looking to see if there’s another that you can play with. You’re also keen to please by tidying up – although it would be nice if you did this a little more often at home! The biggest adjustment you’ve had to make in recent months is becoming a big sister to B. You haven’t found it easy (your sleep took a battering in the first few weeks) but it’s obvious that you adore your little sister. Just yesterday I caught you putting a rattle in her carrycot as you thought she’d like to play with it, and you love being allowed to hold her and giving her kisses and cuddles. You also love showing her things that you find and, of course, whatever outfit you’re wearing that day! Thankfully, your sleep has sorted itself out and you’re back to sleeping through the night and enjoying a lunchtime nap, although you’ll only sleep in your cot (or the car, but only if you’re completely exhausted!). We’ve recently bought you a Gro Clock and you enjoy explaining that when you see the star you, “close eyes, go sleep!” but when you see the sun, “say, mummy daddy! Sun’s up!” You’ve also developed your own little bedtime kiss ritual, which involves a kiss on each cheek, then one on the lips, for whoever is putting you to bed. We have no idea where this has come from – how very cosmopolitan of you! M, you bring us so much joy and it has been amazing watching you learn and grow for the past two years. 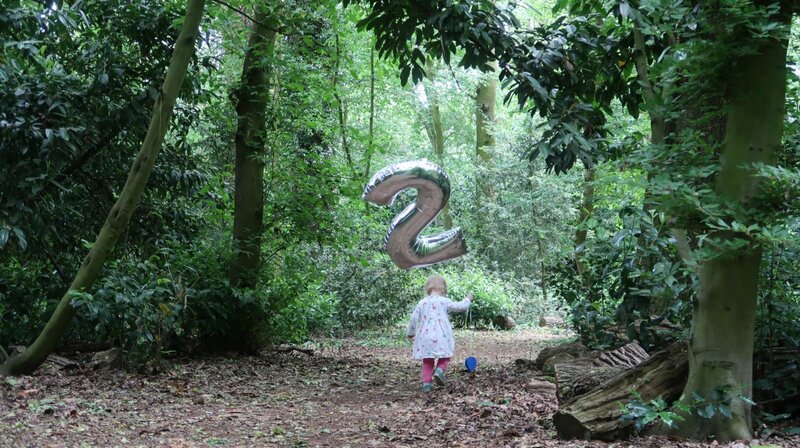 I’m so excited to see how you continue to do so as a two year old! 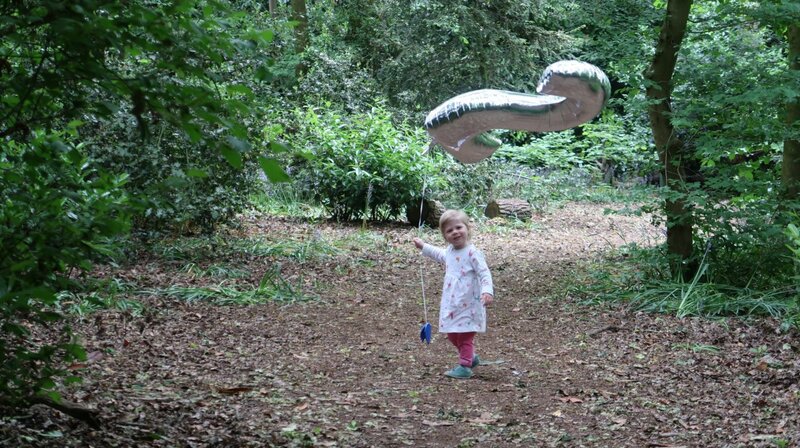 I’m immensely proud to be your mummy and love you more than words can say.